Vanden Plas could do no wrong that night in Atlanta, and whoever followed them that weekend, I suspect they had some very big boots to fill. 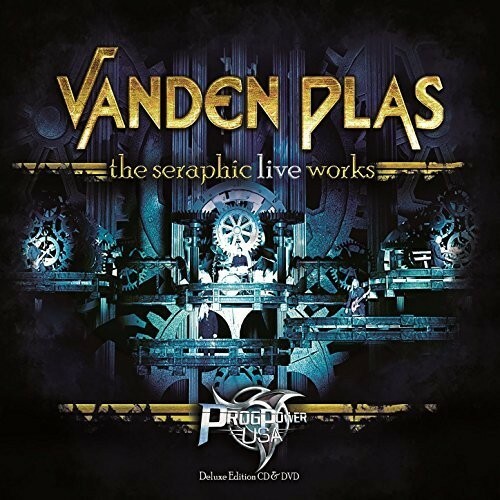 Vanden Plas are, for me personally, one of the best Progressive Metal bands this planet has to offer. The way that they apparently can, with ease, merge melody with technical ability is second to none, and if you've ever had the pleasure of seeing the band live, you already know that what they create in the studio they readily replicate on the stage. The only difference being the passion and joy they get from playing in front of an audience which you obviously cannot get when in an enclosed studio environment. 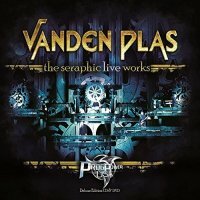 'The Seraphic Live Works' is a CD/DVD live release of the band's first visit to Atlanta's ProgPower (in 2011) when they opened the festival. The main portion of this review focuses on the DVD. Firstly, don't expect an all-out light and stage show because it ain't here. However, what you do get is a multi-camera shot video with a standard light show that doesn't detract from the great performance of the band. What is also very nice about this release is the mix. With this type of CD/DVD combo, you usually get a standard stereo mix, but on this occasion, there's a very good 5.1 mix of the show, handled by the band, their producer and front of house sound engineer Markus Teske, which really enhances your viewing and listening pleasure. The bulk of the material is, as the title suggests, taken from 'The Seraphic Clockwork' album. 'Rush Of Silence', 'Scar Of An Angel', 'Holes In The Sky', 'Quicksilver' and 'Frequency' are all delivered by the band with aplomb. I must tip my hat to Andy Kuntz, whose wonderful vocals drive the engine of VP along, the amazing keyboard maestro Günter Werno, bass God Torsten Reichert and the Lill's – Stephan and Andreas. The former's guitar playing throughout this gig is, to put it bluntly, simply stunning, with the latter really showing how underrated he is in the drum world. Their combined musical talents are amazing to behold as they joyously play their way through these wonderful songs. There's also the superb duo of 'Postcard To God' and the breathtakingly good 'Silently' to enjoy, as well as the likes of 'Cold Wind' and 'Far Off Grace'. Filmed in front of a very appreciative audience who absolutely loved what they were witnessing, Vanden Plas could do no wrong that night in Atlanta, and whoever followed them that weekend, I suspect they had some very big boots to fill.